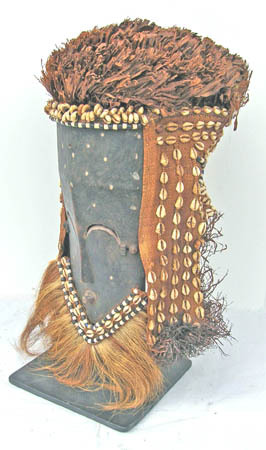 Kuba Mask, with attenuated face. Cut raffia hair. Natural hair beard. 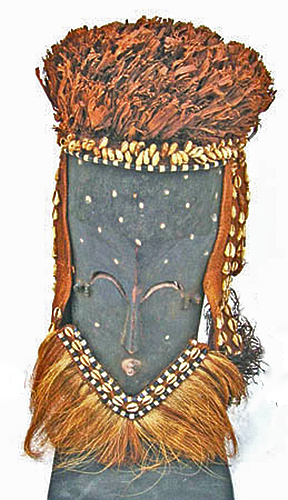 Cowrie shell and bead trim. 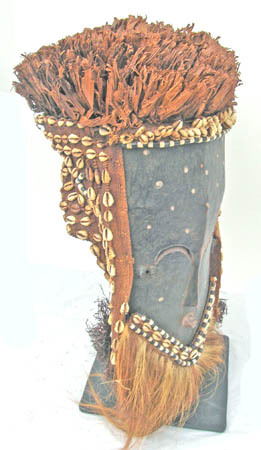 This is an older piece, precise age uncertain.